At Discovery Academy, we are committed to providing a personalized treatment experience to meet the needs of each student. That’s why we analyze any previous assessments for incoming students, and complete psychosocial assessments on-site (including full Level II Comprehensive Psychological Evaluation available) to make a comprehensive treatment plan. These treatment plans are reviewed and altered on a regular basis with the cooperation of the treatment team. Medication management as part of treatment is overseen by a psychiatrist. Parents are included in all decisions regarding medication and have online access to view what medications students are taking. How Much Therapy Should We expect at a "Clinical Boarding School"? 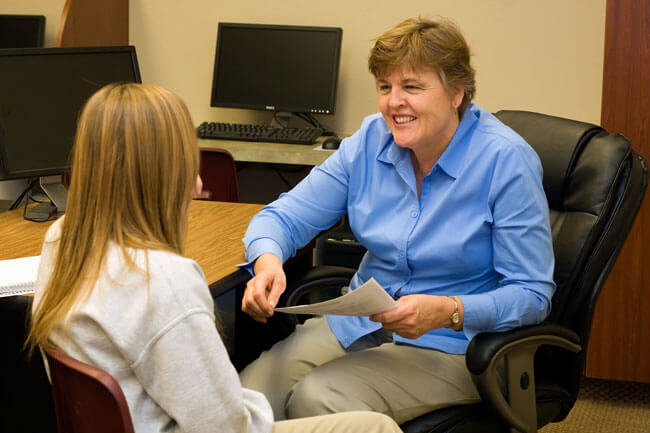 Students are offered weekly individual therapy sessions, family phone calls and consultation with their therapist, group psychotherapy sessions, and specialized group sessions, including substance abuse, healthy relationships, adoption issues, emotional management, and more. All our therapy sessions are run by a fully licensed therapist. All students participate in Experiential Therapy as well, allowing them to learn about themselves and others while working on a common goal. Music, Art, and Drama are available for each student and all students are given regular community service opportunities. Our goal is to help you return home as prepared as possible! Transitions and discharge are carefully coordinated between parents and the treatment team, so that students can best manage their life in the future, taking what they learned at Discovery along with them. "We couldn't find a program that offered our daughter as much therapy in such a preparatory environment... "